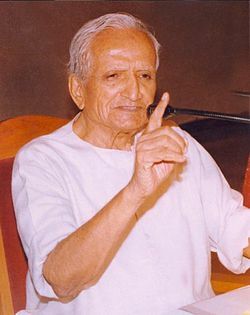 Dattopant Bapurao Thengadi was born at Arvi (Maharashtra) on 10th November 1920. He studied up to BA.,LLB. He was a thinker, linguist, writer, parliamentarian and a trade unionist. He was the Founder of Baharatiya Mazdoor Sang, Bharatiya Kisan Sang and Swadeshi Jagran Manch. He was a full time RSS worker (pracharak). All religions lead to Advaita Darsan. One can climb a mountain from any side. But once the top is reached the pathways merge. In Hindusthan our seers started from the Dvaita, proceeded through the Vishsitadvaita, and reached ultimately the summit of the Advaita The spiritual journey of Jesus has also been along the same path. First he said, “Our Father which are in Heaven, hallowed be thy name”. This is Dvaita. Finally he said, “I and My Father are one. I am the way, the truth and the life” (This is Advaita). According to Houston Smith, “All the words of Jesus as reported in the New Testament can be spoken in two hours”. Had Shri Shankaracharya been required to address the Arab tribes of the sixth century, he would not have delivered the message to them through the Shankara Bhasya. The oft quoted “ Padma Patram iva ambasi”( Like a Lotus in the Water) is the most appropriate simile to illustrate the ideal of Detachment. But it would convey no sense to those who have seen neither a lake nor a lotus. To an average European mind strength is symbolised by Hercules—not by Hanuman. Had Lord Buddha appeared in Palestine before nineteen centuries, his teachings would have been clothed in different imagery, different similes and different metaphors. But such superficial differences in the form of expression notwithstanding, the Message essentially would have remained the same. True seekers care only for the gold; they do not indulge in superfluous controversies over the nature of the dross. Ethics is an integral part of religion. Christian ethics is in no way different from the ethics of the Hindu sages. 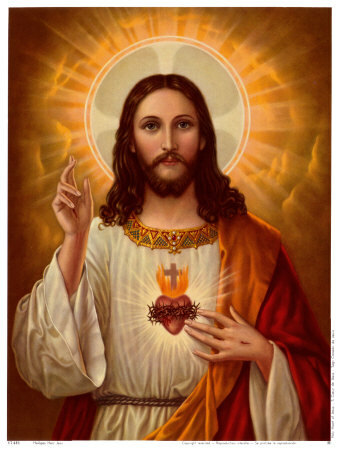 There is no teachings of Jesus that cannot be found in the Hindu scriptures. A true Hindu is automatically a true Christian, and a true Christian is already a true Hindu. Bharatiya Christians must study Christ through the seers and sages of this Dharma Bhoomi, if they aspire to understand him correctly and completely. ‘The Kingdom of God is within you’! Sanatana Dharma is the Universal law. It is not man made. It is described as Hindu Dharma because the Hindus were the first to ‘see’ it, even as in the West, Newton was the first one to ‘see’ the Law of Gravitation or Einstein the Law of Relativity. Hindus ‘saw’ the Dharma and based their socio economic order on the foundation of its tenets. 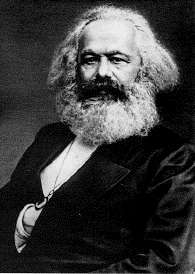 Events have proved that the data upon which Marx worked was insufficient, his information inaccurate, his attitude unscientific, his conclusions incorrect, his predictions untrue, his theories untenable…… Marxism is an intellectual parasite on Newtonian science, Darwenian evolutionism and Hegelian dialecticism…. Those who try to compare Marxism with Hinduism betray their ignorance of both. If workers succeed communists would fail; prosperity of the former is the adversity of the latter; failures of the proletariat are the pillars of communist success. Fanatical Muslims assert that Islam does not permit of any kind of nation-worship and that Muslims must fight against nationalism. But the nationalists in the so called Muslim countries successfully combated this evil. The original tenets of Islam are quite combatable with the spirit of patriotism. Various are the sources of Hindu Law. Firstly Four Vedas and their six subsidiary sciences. Then, the Dharma Shastras. The compilers of Dharma Shastras flourished during different periods. 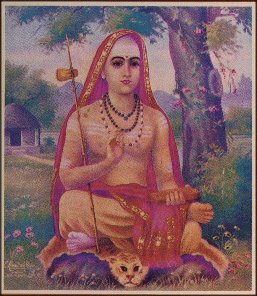 They were Manu, Atri, Vishnu, Harita, Yajnavalkya, Usanas, Angiras, Yama, Apastamba, Sambarta, Katyayana, Brhaspati, Parasara, Vyasa, Sankha, Likhita, Daksha, Gautama, Satatapa and Vashishta. Other ancient sources being the Meemasa, the Nyaya and the Puranas. The Smritis, the current usage, good conscience—in absence of any other guide—and desire resulting from thorough deliberation are also important as sources of Hindu Law. It is curious to note that the above authorities have been considerably overshadowed by subsequent commentaries or digests (Nibandhas). The work of compiling Nibhandhas was going on from the ninth to the nineteenth century. Hindus never formulated any Code of Law. The Smritis are not the codes. One Smriti does not exclude the other, nor does One Smriti repeal the others. They are like the American Restatement of Law or English Digests of Case law. All the Smritis are sources of Law. Another interesting feature of Hindu Law is the fact that in case of any inconsistency between the usage and the Smriti, the usage is supposed to carry with it greater validity. Brhaspati, who founded the School of Materialism in India thousands of years Demokrites, the Father of Western Materialism, was accepted by even the theist Hindus as their preceptor. Kapila who challenged the authority of previous scriptures was also a Hindu. According to Dr Babasaheb Ambedkar, at the time when Gautama took Parivraja, besides the Brahmanic philosophy, there were as many as sixty two different schools of philosophy (in India). The Hindu Law can embrace the entire mankind with the exception of those who denythemselves its magnificent benefits. It is significant Manu described his Smriti as the ‘ Manava Dharma Shastra’ (Law Book for Mankind).